Year after year, we pull out all of our winter essentials in preparation for the chilly days ahead. Typically, this also involves a purging of items that feel "so last season" and a shopping spree that entangles us in an overwhelming web of the latest trends. While we're all for splurging on the newest styles of the season, we are also huge advocates of assembling a wardrobe filled with classic, tried-and-true pieces—the ones that will never go out of style. Considering the fact that every winter you'll be needing a wool coat, chunky sweaters, and more, why not start off by buying all the essentials first? Well, we know just the place that will get your winter shopping off to a great (and affordable) start: & Other Stories. Ahead, shop the best winter items available at & Other Stories, each piece more timeless than the last. 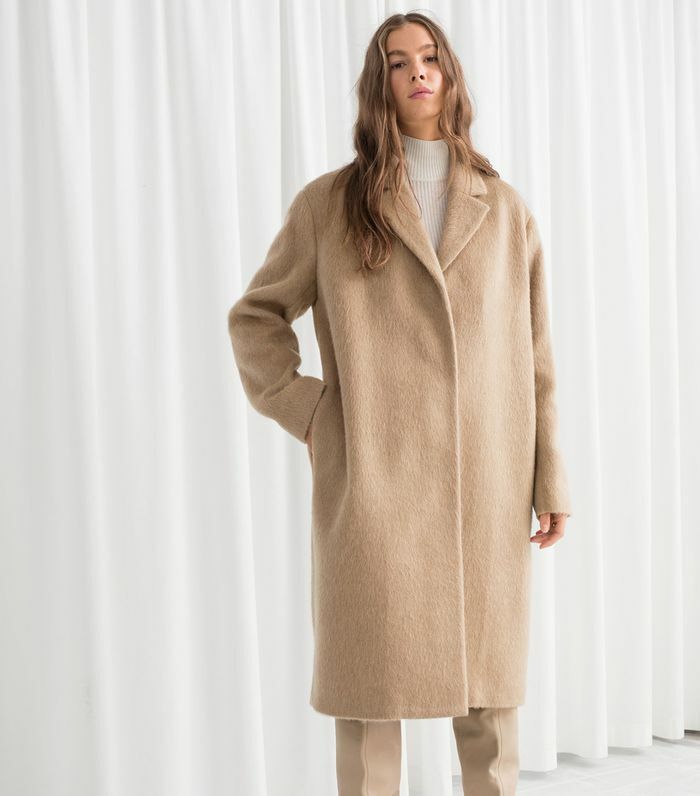 From that perfectly cozy black turtleneck to the camel coat of your dreams, we have a feeling you'll be more than satisfied with the abundant selection ahead. A camel coat is essential in any winter wardrobe. Thin layering turtlenecks are the one item that will save you this winter. Under-$100 jeans that look so expensive. Add some shine with these simple patent boots. Basically a blazer, basically a coat. Snow boots have never looked so chic. A forward-thinking cardigan is always a good idea. If rich chocolate were a coat. Wear this during the winter over a turtleneck and knotted up during the summer with vintage jeans. Because you can never have too many faux-fur coats. Gloves that will keep your hands toasty for years to come. Another wardrobe item you should never live without. Long-sleeve midi dresses are a style that will never tire. Copying this whole look ASAP. Trust us: You'll want to wear this blazer with everything you own. When it's cold but you need to wear a party dress. If pants could enter the Olympics, these would get a gold medal. Investing in winter accessories featuring cashmere is something you'll never regret. If you're going to wear a skirt during the winter, make it this one. For when your black ankle boots just won't do. Winter's version of a classic trench. We know—you've probably never seen a simple black sweater you need so much. Up next, shop 23 layering turtlenecks that will save you this winter.